ArabLit: When does a public library in the US (or in England, or in France) decide that it’s necessary to build a collection of Arabic literature? Isabella Rowan: One of the primary missions of a public library is to meet the educational, informational, and entertainment needs of the local community. The key words here are “local community”. If an American, British, French or any community has a population of native Arabic speakers/readers, it follows that the library would include materials in Arabic in its collection. The way I see it, being a librarian is a humanitarian vocation. It is a calling to be of service. I advocate for serving the “whole” patron. The library should have materials in the native language of the country – English, French, German, etc. and in Arabic, and in dual-language English/Arabic. Dual language books allow Arabic-speaking grandparents and English-speaking grandchildren to read to each other. Dual-language books serve two purposes: helping the English language learner learn basic vocabulary and simple phrases; and also promoting intergenerational reading. …. Dual language books allow Arabic-speaking grandparents and English-speaking grandchildren to read to each other. When economies falter, the best way to keep a library open is to have high usage statistics. If a library offers what the community wants, in the language(s) of the community, then the community will use the library. 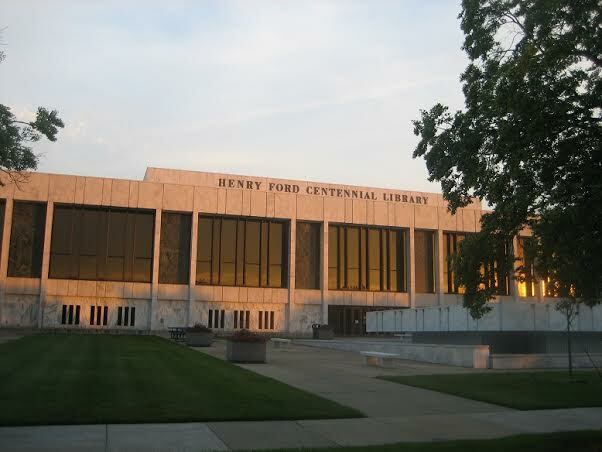 The community will come to depend on the library as a needful thing and when it comes time to vote on the new millage, the community will vote in favor of the library. Public libraries are often thought of as extensions of the community. The collection of the local library should be a paper and ink representation of the community demographic. If there are Arabic readers in a community, but no Arabic materials in the library, then something is very wrong. AL: How would a library know that it was time to build a collection of Arabic literature? Wait for requests? Look at demographics? IR: A library should always have its finger on the pulse of the demographic make-up of its community and should plan its collections accordingly. 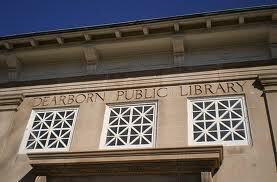 Dearborn Public Library in Dearborn, Michigan, serves a population of just over 98,000. Nearly 40 percent are of Arab descent and about 50 percent of them speak Arabic at home. More than 50 percent of my International Language Collection is Arabic. The librarian needs to determine: Is this a blue collar town or a white collar town? Is this a college town or a retirement community? What is the ethnic breakdown of the community? What language(s) are spoken at home? What native countries are represented? A library in Florida where the community is mostly comprised of retirees over the age of 65 will have different collection needs than a library in a college town like East Lansing, Michigan. If the town is a portal for refugee or immigrant relocation, which countries are being represented currently? Check with local social services agencies and the school district. The enrollment services office of the local school district can tell you who is there and where they came from. A security guard at one of my branches, who is from Lebanon, told me one day that patrons were complaining to him that we didn’t have enough poetry, they wanted more poetry. When I examined the collection more closely, I found that we had a few books of poetry by Mahmoud Darwish and Adonis, but nothing by Fadwa Touqan or Mutanabbi, or even Nizar Qabbani, for example. Requests are also important and should be fulfilled whenever possible, but the library should have materials in the language long before they are requested. Patron requests should be encouraged, though, because they are a great way to round out the collection. Your Arabic readers are closer to the collection and know where the gaps are. A security guard at one of my branches, who is from Lebanon, told me one day that patrons were complaining to him that we didn’t have enough poetry, they wanted more poetry. When I examined the collection more closely, I found that we had a few books of poetry by Mahmoud Darwish and Adonis, but nothing by Fadwa Touqan or Mutanabbi, or even Nizar Qabbani, for example. AL: What should a library/librarian do if it’s time to build an Arabic collection? IR: If the collection development librarian doesn’t know the language or anything about Arabic literature, starting an Arabic collection can be a daunting task. There are some things the librarian can do to make it easier: 1) check the catalogs of other public libraries that you know have Arabic language materials and try to get the same titles/authors; 2) contact the collection development librarian from those libraries and ask them how they select their titles and who their vendors are; 3) engage the community by setting up a multicultural community advisory committee to assist with collection development; 4) consult on-line resources like “Arabic Literature (in English)”. Some libraries choose to only purchase books for their collections that are translations into Arabic. This may be a safety mechanism to buy only what you know. After all, it is much safer to buy Danielle Steel and J.K. Rowling translated into Arabic because then you know what the book is about. On the flip side, some libraries will only purchase books by native Arab authors, as if translations are somehow not really Arabic. If an Arabic book was reviewed and considered worthy of translation into English (especially if it won a prize like the IPAF), then it’s a great idea for the library to get that book in the original Arabic for its collection. The “Best 100 Books in Arabic (According to the Arab Writers Union)” is a great source for title ideas, too; as is, Arabic Goodreads. The best idea is to ask your patrons what they would like to see in their collection. Some patrons prefer native authors and others prefer translations. If I am walking past my collection and see a patron browsing, I stop and ask them what they are looking for and what their preferences are. The answers I receive are split down the middle: older patrons seem more inclined to want classical literature and poetry, while younger patrons, especially women, want to read translations. “It helps me learn more about Western culture,” was one explanation. The librarian will of course consider the same selection guidelines that they use for the English language collection, which is to have a balanced mix of relevant fiction and non-fiction reading materials. Fiction should include popular new releases as well as classics with classics meaning both classics from Arabic literature and classics from English/American literature. (Arabic translations of Agatha Christie novels are extremely popular.) Non-fiction should include poetry, history, and religion, etc. as well as current titles on cooking, childcare, hobbies, etc. AL: How do you do outreach to the Arabic-reading community? How do you let people know what you have? What about book clubs, story hour for children, and so on? IR: Outreach to the Arabic-reading community requires creativity, patience and persistence. Dual-language flyers in Arabic and English are a great way to spread the word. Librarians should personally visit the local mosque, Islamic schools, and the bulletin boards of Arab groceries. If you are reaching out to a mosque or school, the librarian should be mindful of gender practices. A male librarian shouldn’t contact the women’s group at the mosque. Ask a female colleague to do it. Also, make contact with local social services agencies, refugee assistance programs, ESL adult education teachers, and don’t forget the Arabic language teachers at the public schools, colleges and universities. If there is an Arabic language newspaper or online media outlet in your community, by all means, contact them. I recently completed the programming for a grant we received from the National Endowment for the Humanities (NEH) and the American Library Association (ALA) called “Let’s Talk About It: Muslim Journeys“. We are fortunate to have in Dearborn a bilingual newspaper, The Arab American News. The editor is supportive of the local community and was very supportive of this program. The ad director provided me with display ads at a deep discount, sent out a reporter who wrote a story that was printed in both Arabic and English, and printed the individual event announcements in the community calendar section. If there is an event centered on an English language book, check to see if there is an Arabic translation. Bilingual book discussion groups are a great idea. We have also received the Big Read grant from the National Endowment for the Arts (NEA) with a program of events that kicks-off this March. The book we selected is Jack London’s The Call of the Wild. I found a vendor in Lebanon that has the book in dual language Arabic/English. We ordered 250 copies to be distributed to the local schools and ESL adult education students. The Big Read is a community-wide reading project and with the book available in Arabic, we are able to include that important segment of our community. The librarian should always be on the lookout for creative ways to involve Arabic speaking/reading patrons. If there is an event centered on an English language book, check to see if there is an Arabic translation. Bilingual book discussion groups are a great idea. Story times in Arabic are a win-win, too. AL: What is the most difficult thing about building, maintaining, and sharing a meaningful Arabic collection at a public library in the US? IR: There are many difficulties to building a meaningful Arabic collection. Limited availability of materials, budget constraints, cataloging, and lack of knowledge of the language are the major challenges faced by public libraries. If a librarian doesn’t read Arabic, it is very difficult to choose appropriate materials for the library. We’re accountable for our budget allocations and need to purchase titles that cover appropriate subject matter and will circulate well. Another problem associated with not being able to read or write Arabic is finding reviews for selected titles. Librarians rely heavily on reviews and bestseller lists in their selection of library materials. Sure, reviews of Arabic books are out there, as are bestseller lists, but they are in Arabic. Vendors can help librarians with this dilemma and even boost sales if they would provide an English translation of the title and a summary in English as well. If we’re on your website looking at Arabic books, we would like more description than “Arabic novel.” Also, a transliterated title really isn’t helpful. What we need is a translation in English that makes sense. Please do not just feed the Arabic characters into Google translate. Budgets are another problem. Library budgets are tight and in most cases, for public libraries in America, the international language budget is smaller than any other category. Further aggravating is the cost of Arabic materials. They can be very expensive. A cookbook by Lebanon’s famed Chef Ramzi cost me $53. I broke down and bought two copies ($106 plus shipping), one for each of my Arabic collections, and it turned out to be a good investment. Those books are never on the shelf and are always checked out. Shipping costs from far-flung locations are exorbitant, too, and take a big bite out of a small budget. Cataloging can be another problem. Often public libraries do not have someone on staff that can catalog in the language. Some vendors offer cataloging services, but they are often quite expensive. If you tell your vendor that you only want materials that have already been cataloged, which may make them a little less expensive, then you are limiting your choices of materials. You run into problems with old pub dates or titles that are no longer available because of short print runs. Recently I have noticed an increase in self-published Arabic books offered from various vendors through the Createspace self-publishing platform. This is an interesting trend because it means that Arab writers are trying to tap into the market through less conventional means. It doesn’t necessarily mean that libraries will be ready customers, however, because there is still the question of reliable reviews and librarians like the “security” of dealing with mainstream publishers. Many times a librarian is limited to certain vendors by the library’s collection development and budget policies. This can also severely limit the choices available. Isabella Rowan is the international languages and ESL librarian and Arabic cataloger at Dearborn Public Library, Dearborn, Michigan. She earned her MLIS from Wayne State University in Detroit. Thank you so much for this helpful article! I am passing this on to several colleagues of mine. Excellent to hear! Thank you so much for doing that.